By training families to have successful gardens all year, entire villages become food secure. Education is a game changer for rural farming families in Malawi. 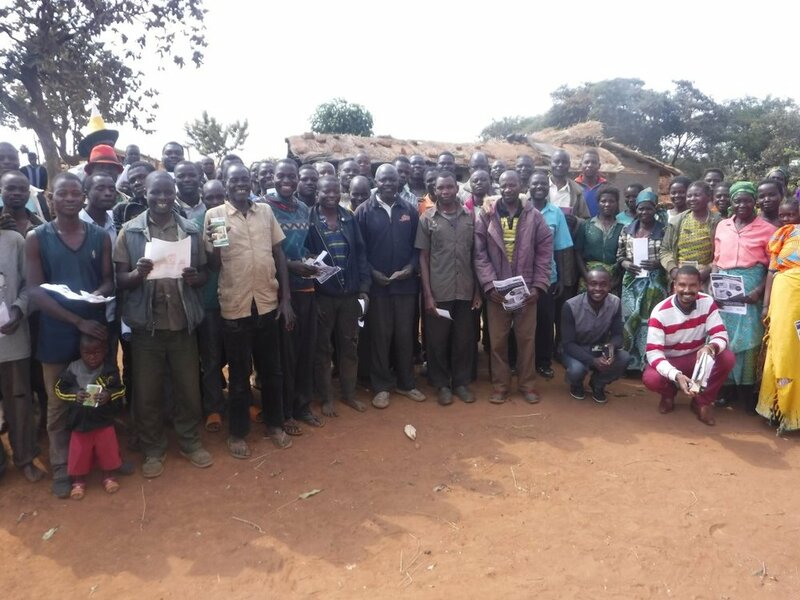 Your sponsorship of Africa Windmill Project staff allows this training to continue into other districts. At first, Africa Windmill Project began training 30-50 families a year, now, thanks to the support of partners like you Africa Windmill Project is training over 3,000 families. Malawians would primarily grow food November - March. They would grow Maize, Tomatoes, Beans, Onions and Greens using the rains that come during those months. They would harvest and store the food to last them throughout the year. Oftentimes by July or August the food supply was limited. Even if there had been no draught or erratic rainfall, families in the villages would begin running short on food. This is what is meant by food insecurity that is rampant across the developing world. YOUR partnership impacts this by providing tools and trainings so that food is grown all year and food security can be achieved. Thank You! Your Partnership Impacts So Many. Your voice matters, share with your family and your friends about your partnership with Africa Windmill Project. Explain how food security is sustainable and impacts communities now and future generations. We can make a difference together! Africa Windmill Project manufactures hand crank water pumps and windmills. Some of our agriculture clubs utilize a treadle pump that is manufactured in Kenya. Africa Windmill Project teaches local fabricators how to manufacture the hand crank and wind operated pumps as well as teaching the farmers how to repair and maintain their pumps. Food Security for everyone is our goal.